Meticulous research, compelling characters and ingenious plots are the trademarks of this highly original, entertaining and often controversial series. These page-turning thrillers combine humour, wit, and above all, engaging characters who grow and develop across the books. The key to the popularity of this series is the tempestuous relationship between the enigmatic Chinese detective Li Yan, and Dr Margaret Campbell, the acerbic pathologist from Chicago. 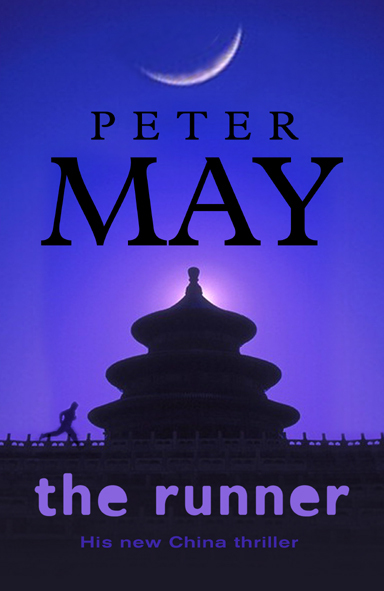 Scotsman Peter May has been winning praise for his vibrant portrayal of contemporary Chinese life and attention to scientific and medical detail. He is the only westerner to be made an honorary member of the Chinese Crime Writers' Association. May has been all over China and the USA to research his books and acknowledges the help given to him by the extraordinary people he has met. From the American Embassy in Beijing to the Chinese Embassy in Washington DC. From the Shanghai police mortuary and the Beijing homicide squad, to the FBI, the INS and the Armed Forces Institute of Pathology in the USA. With an extraordinary network of contacts in China, he has gained unprecedented access to the homicide and forensic science sections of Beijing and Shanghai police forces to make a painstaking study of the methodology of Chinese detectives and pathologists. Expert advisors from around the world, at the top of their chosen fields of genetics, science, forensic pathology and criminolgy ensure that the facts in his stories are accurate. 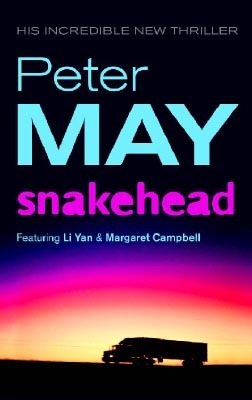 May uses cutting edge science to provide a terrifying glimpse of what lies in store, from genetic modification in The Firemaker, to bio-terrorism in Snakehead. 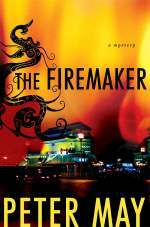 The Firemaker gained plaudits for May's ability to produce a well-written, fast-paced crime thriller which takes the reader on a vivid journey through the backstreets of Beijing and behind the scenes of the Chinese Police system. 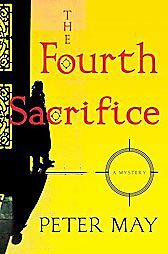 The sequel, The Fourth Sacrifice, moves from Beijing to the archeological treasure trove of Xian with its famous army of terracotta warriors and a story with its roots in the cultural revolution. 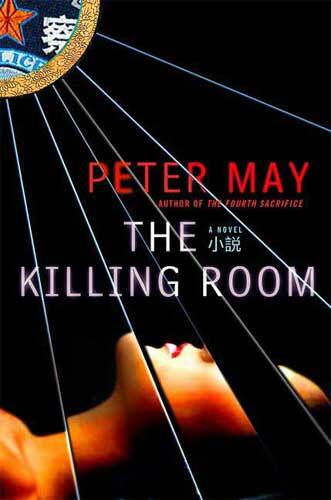 The Killing Room features the extraordinary setting of Shanghai where ancient barges ply their trade on the river under the shadow of some of the most futuristic architecture in the world. 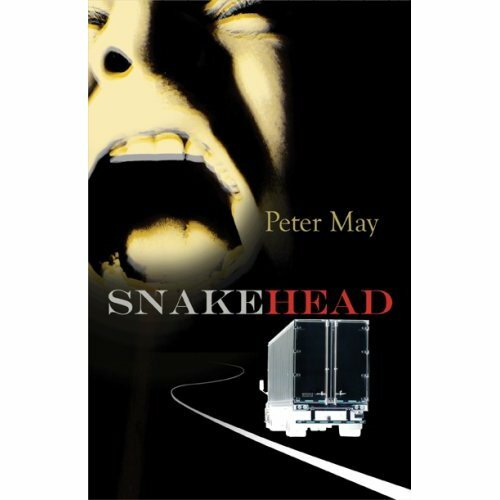 The fifth book, Snakehead, sees the action switching to Texas in the United States, where a story with its roots in people smuggling takes a terrifying turn. With the forthcoming Olympic Games in Beijing, the race is on to turn science fiction into fact. The Runner is a breathtaking thriller set behind the scenes in world-class athletics. The sixth book in the series, Chinese Whispers, takes a turn from pathology to psychology and enters the world of lies, obfuscation, and lie detectors. Li Yan finds himself tracking a serial killer in Beijing obsessed with Jack the Ripper and intent on recreating his awful deeds. Peter May won the Scottish Young Journalist of the Year Award in 1973. He had his first novel published at the age of 26 and left journalism to pursue his fiction writing. When one of his books was adapted as a major drama series for British television network, the BBC, he began writing for television and soon became one of Scotland's most successful and prolific television dramatists. By the age of 30 he had created two major TV series, The Standard and Squadron, for the BBC. In the 1980s his storylining and script editing helped to take the Scottish Television serial Take the High Road to the top of the ratings, to become the country's number one drama with record breaking audience figures. In the 1990's, as producer and creator, he led a 70-strong crew and cast to film in the remote Outer Hebrides islands to produce his ground-breaking Gaelic drama serial, Machair. After accumulating more than 1000 television writing credits in 15 years he has returned to writing novels.